New Year's Giveaway with Eight 2018 Authors! 2018 is finally here, so a bunch of us debut authors are celebrating with a GIVEAWAY to jumpstart your 2018 TBR pile! 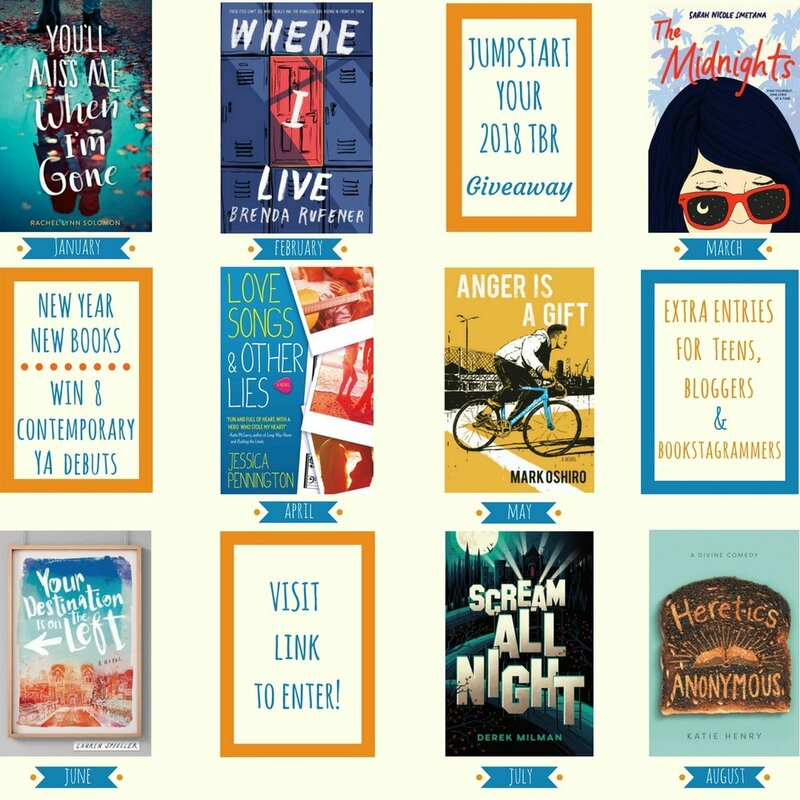 Eight (8) contemporary YA debuts are up for grabs (2 hardcovers and 6 ARCs). To enter, visit this link or fill out the Rafflecopter form below. Note: there are extra entries available for teen readers, book bloggers, and bookstagrammers. Giveaway is US only, and ends 1/5 at 11:59pm (EST). This voice-driven coming-of-age YA novel is perfect for fans of Katie Cotugno and Playlist for the Dead. Susannah Hayes has never been in the spotlight, but she dreams of following her father, a former rock star, onto the stage. As senior year begins, she’s more interested in composing impressive chord progressions than college essays, certain that if she writes the perfect song, her father might finally look up from the past long enough to see her. But when he dies unexpectedly, her dreams—and her reality—shatter. Set against the scintillating landscape of Southern California, The Midnights is an evocative coming-of-age debut about loss, creativity, and finding your voice while you’re still finding yourself. Thrilled to announce that my pre-order giveaway is live! To learn more about what goodies you can win, head over to my official pre-order giveaway page. Here's a sneak peek. Click here for the giveaway!